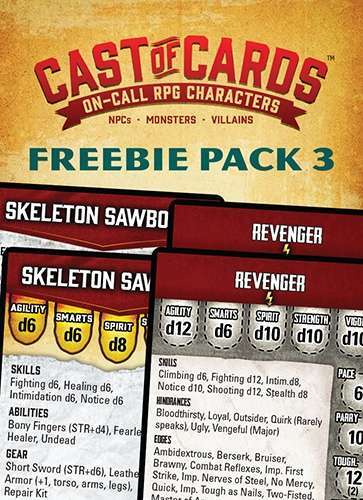 Cast of Cards: Freebie Pack 3 gives you five free NPCs. These unique characters fit in with other Cast of Cards decks, but are not repeats! If you like what you see, you'll have an extra card ready to go for your next adventure.